While Croatia abounds with dreamy escapes and enthralling adventures, there's nothing quite like the dramatic beauty of the Dalmatian Coast. 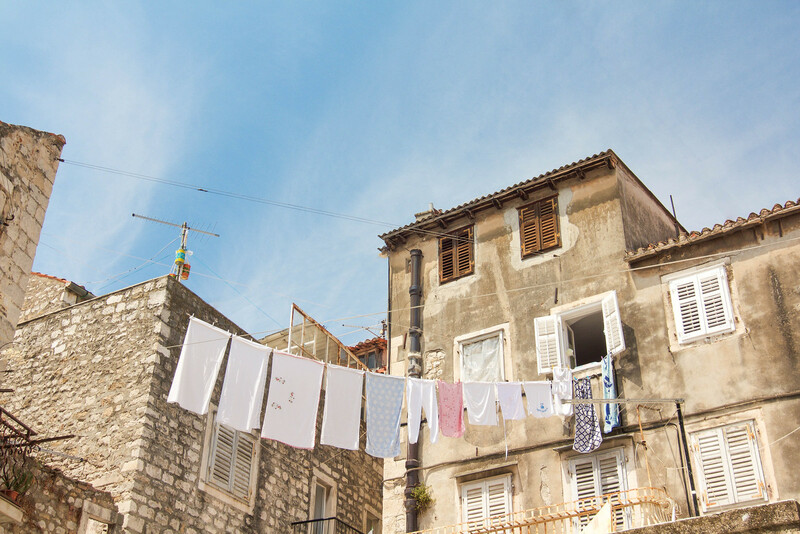 Among coastal Croatia's many gems, the effervescent hub of Split is one of the go-to destinations for ancient history, fresh cuisine, pulsing nightlife and unabashed sun-worshipping. 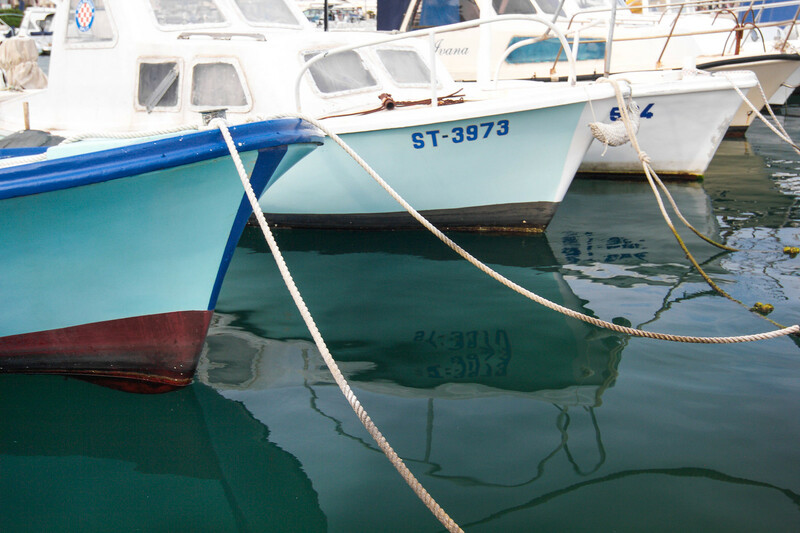 Breezy, vibrant and serene, Split effortlessly embodies the spirit of the Mediterranean. 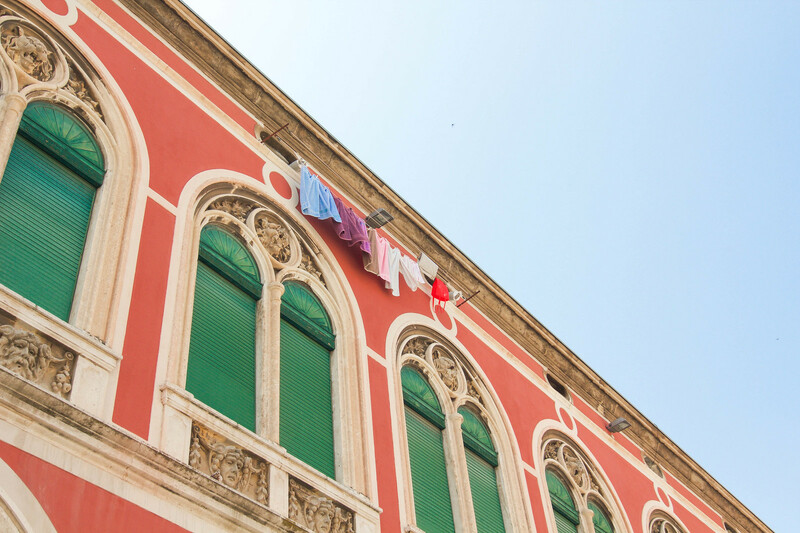 In between chasing waterfalls and island hopping, a stop in Split is an absolute must for any Croatian itinerary. 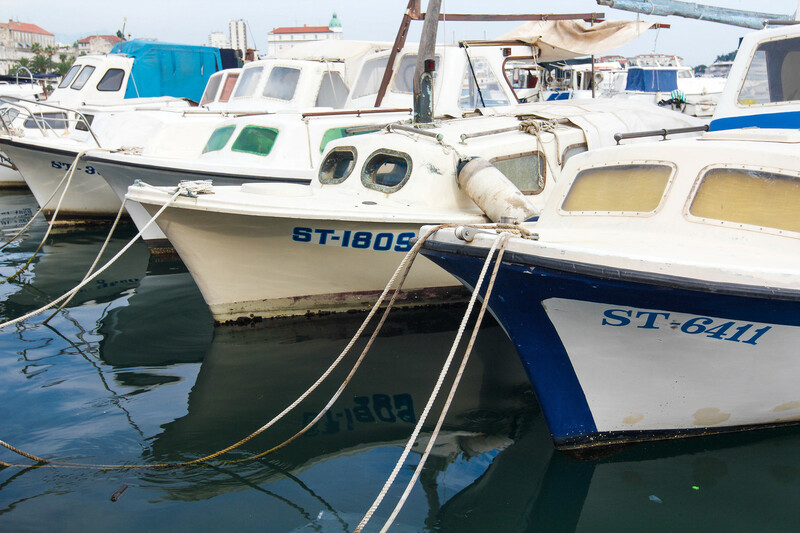 However, seeing as Croatia is quickly becoming one of Europe's most popular destinations, Split harbors its fair share of tourist traps. 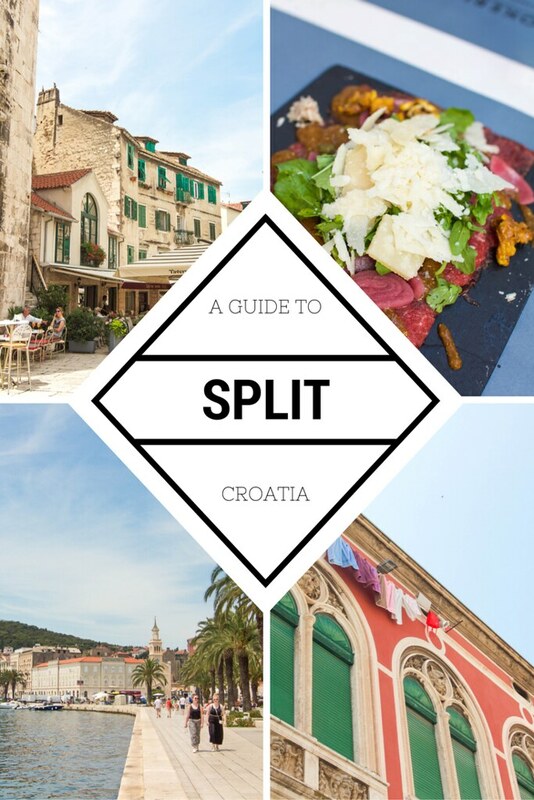 In order to avoid the overpriced, overrated and downright tacky, here are my tried-and-true recommendations for authentically enjoying Split. 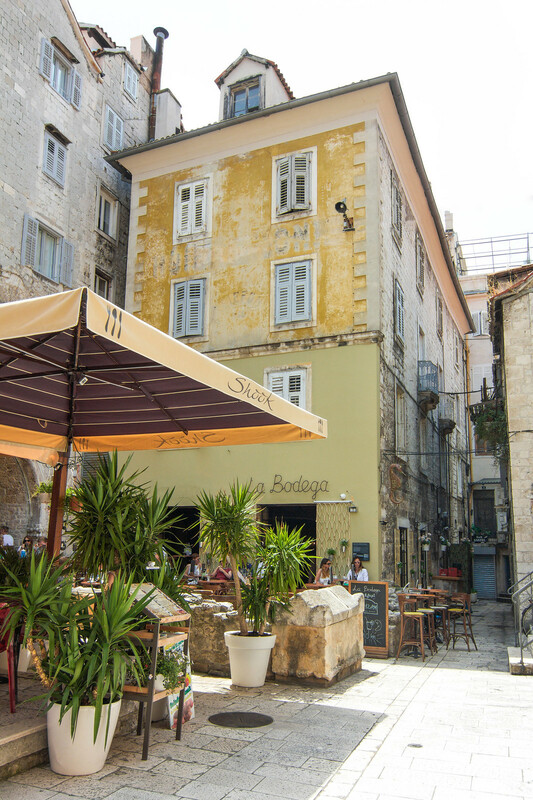 Though Split is acclaimed for its sparkling waterfront and inviting seas, much of its charm is anchored to the historic old town. Half of the old town resides in the ruins of Diocletian's Palace, a 4th century Roman fortress that once dominated the city. 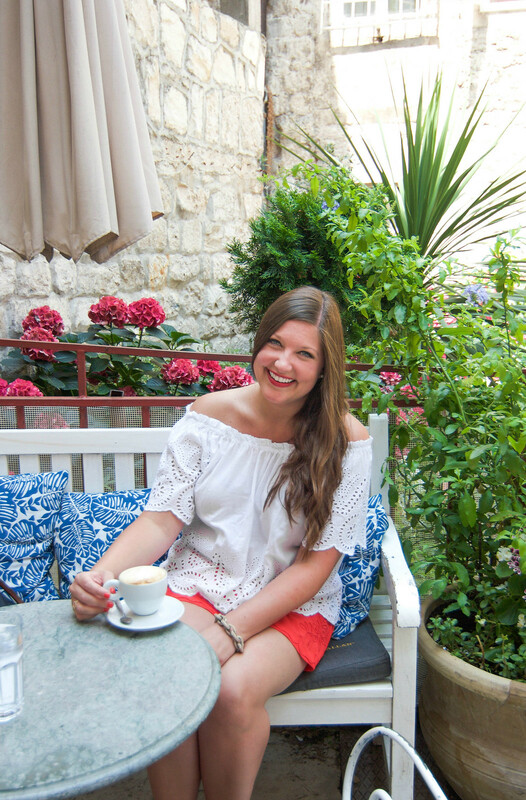 Inside the labyrinth of narrow cobblestone streets, quaint outdoor cafés hug the stone walls, the pungent aroma of olive oil wafts through the air, and cascades of bougainvillea drape over weathered shutters. Every alley is a feast for the senses. While Diocletian's imposing fortress has transformed into the beating heart of Split's old town, the palace's original design can still be found in the basement. 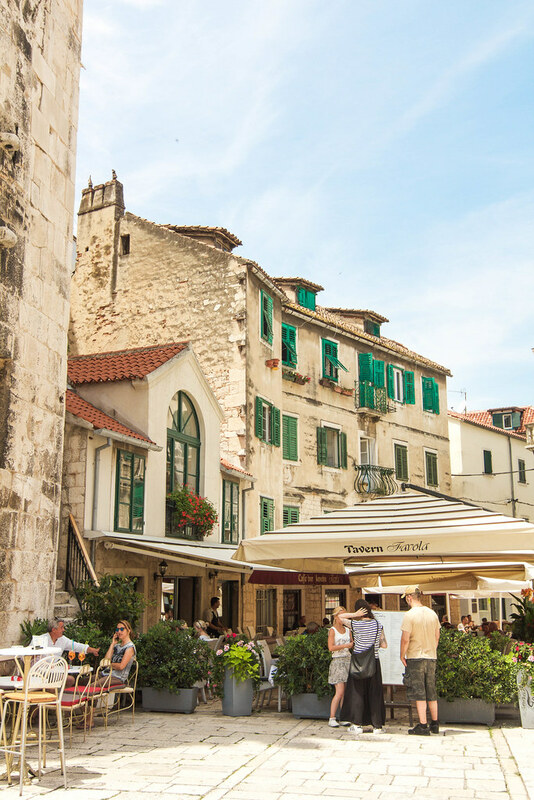 Accessing its lower floors from Split's seaside promenade, the Riva, allows visitors to see the floor plan and envision what the palace could have been like during Diocletian's glory days. 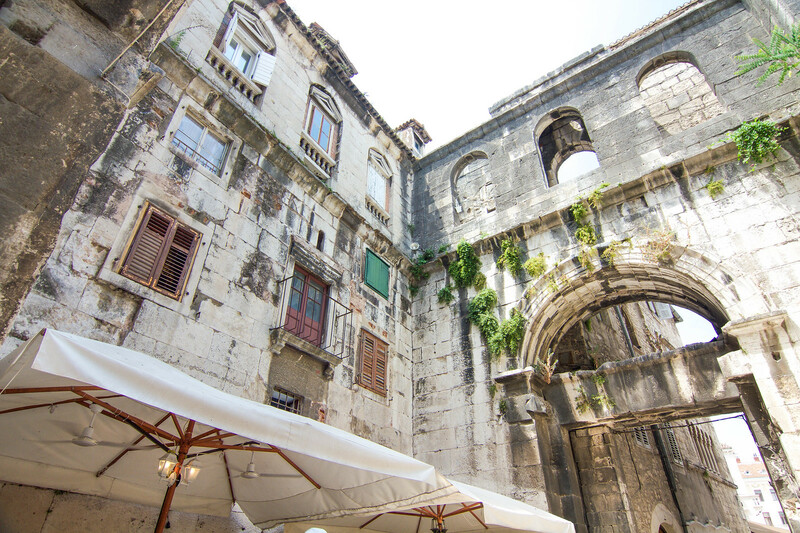 Though the remains of the fortress are scarce compared to what it once was, Diocletian's Palace still boasts some of Europe's most impressive Roman ruins. 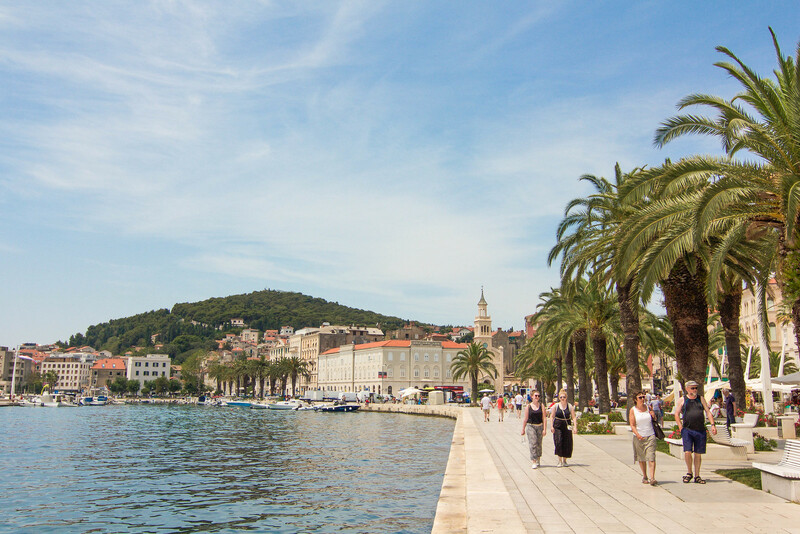 Sauntering down Split's sleek promenade is a rite of passage upon arrival. With sublime seaside views and a plethora of waterfront bars and cafés, the Riva is an ideal place to grab a cocktail and people watch. While its restaurants are of seemingly dubious quality, a quick coffee or fresh-pressed juice makes for the perfect pit stop during your stroll. This well-preserved Roman edifice was originally built as a mausoleum for Diocletian, who was notorious for persecuting Christians. After his death, the Christians got even by destroying his sarcophagus and turning his tomb into a cathedral. The church's bell tower flaunts resplendent views of the city, while the interior's crypt and treasury equally captivate visitors. Your ticket also covers entry to Diocletian's Temple of Jupiter, which was converted into a baptistry. 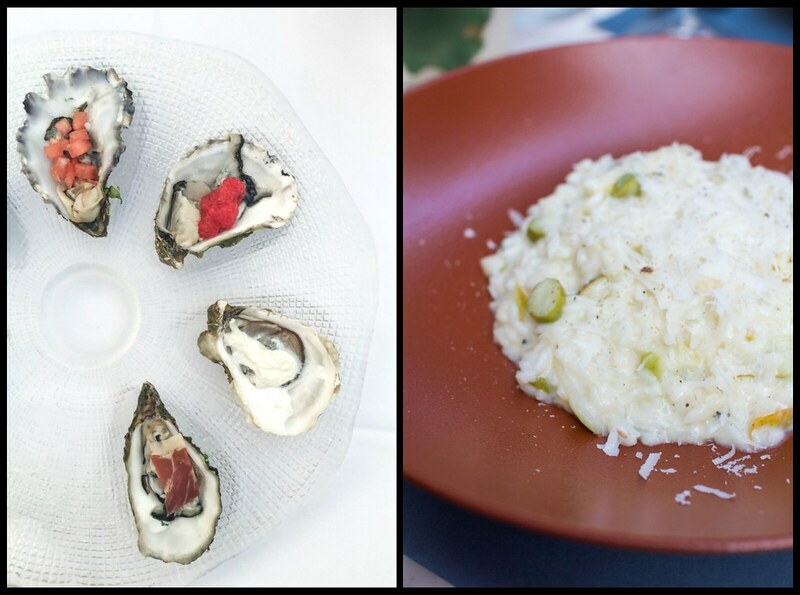 My rooftop feast at Paradigma was the crown jewel of gastronomic experiences in coastal Croatia. 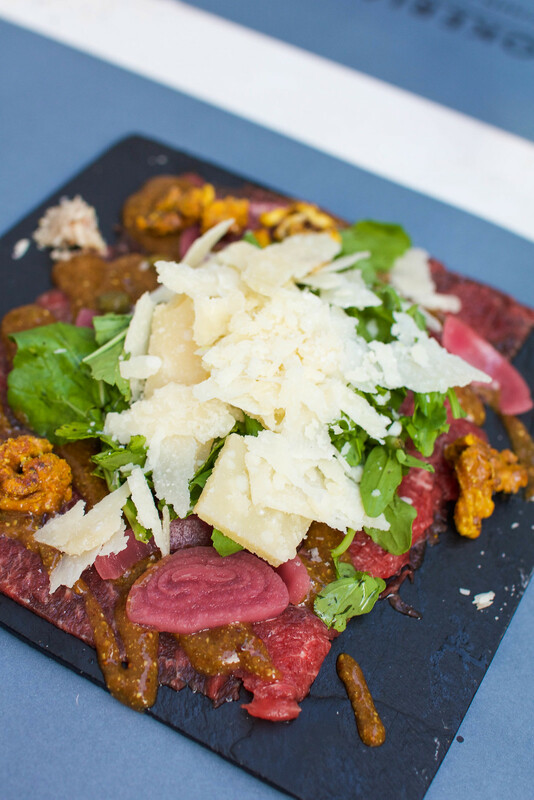 Perched atop an elegant terrace with inviting views of the sea and old town, Paradigma serves a blend of traditional Mediterranean gastronomy with unique contemporary twists. Indulgence is the name of the game here, as exemplified by our decadent feast. A local favorite for sweet treats, Luka serves fresh and exotic flavors of ice cream using all natural ingredients. Seeing as Croatia is famous for its lavender fields, Luka's beloved lavender ice cream is a decadent must-try. They also offer light and refreshing flavors to beat the heat, such as peach and cucumber sorbet. The same olive oil experts of Uje Oil Bar sell edible souvenirs at their gourmet gift shops. Aside from their quality oils, they also offer flavorful tapenades, local wines, fig products, chocolate, and a colorful assortment of kitchen accessories. 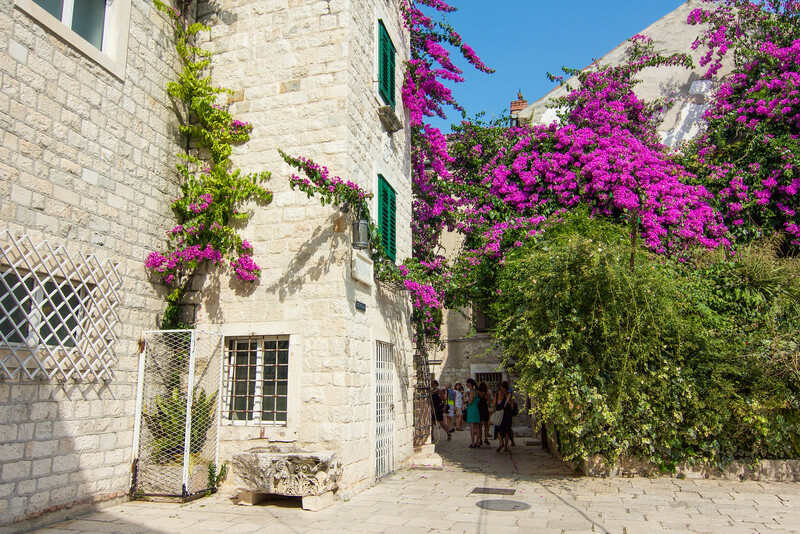 Among its many traditional treats, Croatia is celebrated for Hvar's iconic lavender fields and Istria's rich truffles. Be sure to pick up some lavender and truffle based treats, like lavender sea salt or aromatic truffle oil. With all of the kitschy trinkets that abound in the touristic center of Split, scouting out quality souvenirs can be a daunting task. 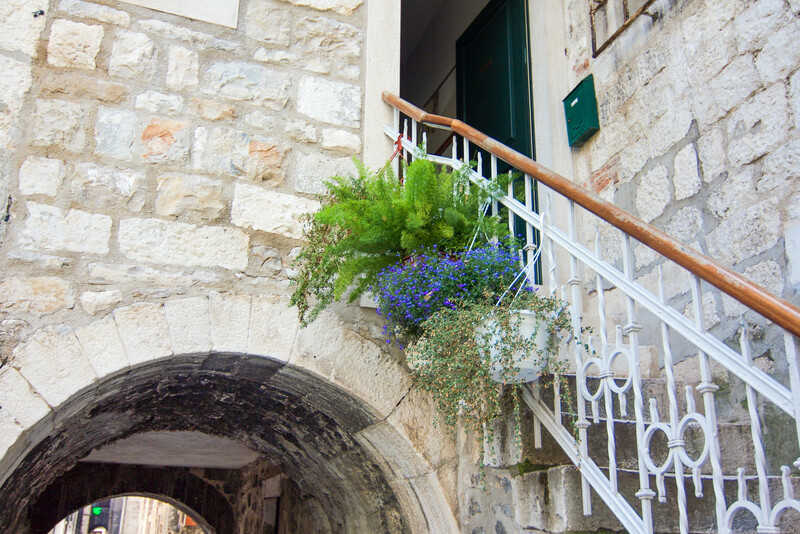 That's why I was so thrilled when I stumbled upon the hole in the wall art gallery of In Galerija, nestled in the old town's maze of narrow streets. The cozy shop is overflowing with original pieces of art, all which make for unique and memorable keepsakes. My favorite memento is a small painting of Split's harbor, hand-painted by a local artist on a piece of wine barrel. Just a ten minute walk past the popular Bačvice beach, the calm shores of Ovčice are a stark contrast from the frat party atmosphere of its next door neighbor. Beach chairs and umbrellas are available to rent, and a nearby beach bar offers snacks and libations. If you're looking for a beach close to the city center but prefer to avoid Bačvice's crowds, murky waters and repetitive thrums of electronic music, peaceful Ovčice is a convenient alternative. For more picturesque spots to soak up the sun in Split, the pebble beaches beneath Marjan hill offer a quieter retreat. Some of the most popular beaches include Kasjuni, Kastelet and Bene, but keep in mind that these are much farther from the city center compared to Bačvice and Ovčice. Not all beaches have chairs or umbrellas available to rent, and beach bars may be far and few between. Consider packing a picnic, and bring plenty of water. Because most of Croatia's beaches are notably rocky, you'll see many locals adorning water socks. Though they may not be the most fashionable, they'll save your feet from plenty of pain and discomfort. Have you ever visited Split?